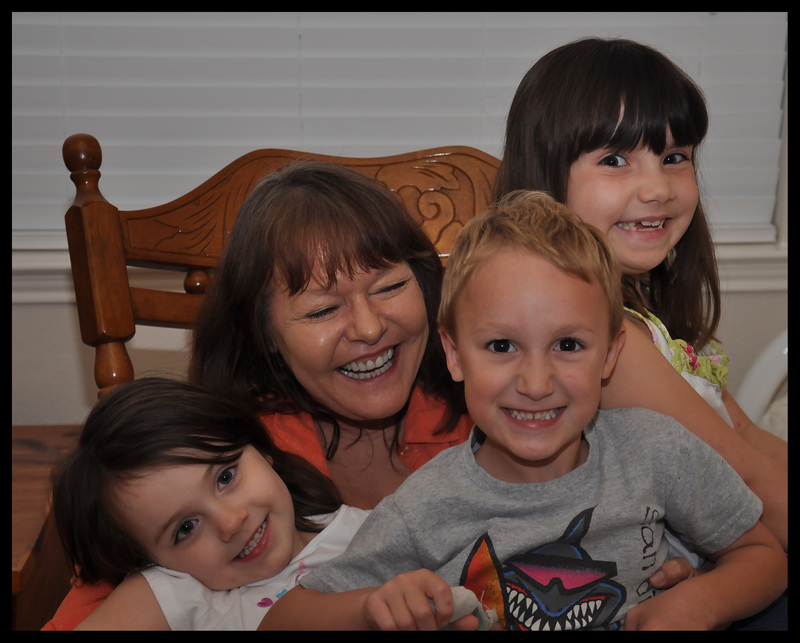 Cousin Victoria and I with Mita (mi abuelita), 2012. Sometimes in life, sad things happen. Really sad things happen. You can’t escape them. Sadness, like happiness, is natural, and a part of life. Sometimes, these sad things come unexpectedly. Like when we found out that my grandma has cancer. It was heartbreaking. Even worse, it is fully developed, and can’t be cured because my grandma is too weak, and because of the kind of cancer. We decided that we had to be with her for as long as possible. So, we are heading back. I am very sad. She’s my closest grandma. This breaks my heart open. However, on the bright side, I’ll be able to play with my cousins. Also, we’ll be able to have Christmas with the family, which is nice. We will pretty much settle in Dallas for a while. Hopefully, my grandma will get strong enough, and the chemo will work. Anyway, we have no idea what is to come. I guess I’ll write about that in another post. Check out the Newscast I did for the battle of St. Mihiel. I studied this battle as part of my US History class. I hope you like it! Fun with Guy, Coco, Gavin, and Hayden! The taxi stopped, and we got out. The Guven family was at their front door, waiting for us. How nice it was to see old friends again! I had such a fun time with Guy and his little sister, Coco! We played Minecraft and with toy cars. The cars would have tournaments on two different tracks – the stairs and the special track. On the track, two cars would be launched out like complete bosses into a cell of their own. Then, they would spin to a second piece of track. It was very easy to tell the winner because the loser was flung to the side. About once a day, the Horn siblings, Gavin and his little sister, Hayden, would come over. While they were over we stuck to some rules. For the first hour, we would refrain from playing video games. For the next hour, however, we could play video games, and were all over Minecraft. We started building a Minecraft wipeout map. We built a creeper face next to a little bit of parkour. Some blocks on the creeper face were in front of sticky pistons, and if you hit their levers once, the blocks shot out. If you hit them again, they went back to their former positions, waiting to strike. Somehow, we split into boys and girls. Guy was not allowed onto the girls’ world, because they thought he would grief them. So I joined, and did exactly what they feared: blew up their house! Then I joined their other world, and burned down the heart they had built! Later, when Coco joined my world, I disconnected her. Other than that, we had an amazing time. Our time in Peachtree City was also amazing. Kayli and I played Minecraft, too, where we made an even better wipeout map. We made two creeper faces and added redstone, making them almost automatic. We also added a maze of paintings and a boat race. We added a jumper, ladder parkour, and a dropper. We’re not even done yet! We went on several golf cart rides. On the last one, I spilled melted ice-cream all over myself and the golf cart. Now I know: golf carts and melted ice-cream DO NOT mix. They ruin each other. Honestly, some of the most fun I had was at my pool party in Atlanta. The Hellengas, Jack and Parker, were there. So were the Guvens and the Horns. James Hester III (aka. Tripp) and his mom were also there. We had pizza for lunch. After we had pizza, we played a game where we had to push everyone else into the pool. A girl that lived in the building was swimming around, and Gavin pushed me in backwards. When I resurfaced, she was crying, and said her earring was missing. My theory is that when I fell in, my foot smacked her face and her earring flew away. Everyone looked for it. Turns out, it was at the edge of the pool. That girl never got back in the pool. Then, we decided to play chicken. It was Jack and I versus Gavin and Guy. Tripp kept interfering. I splashed him in the face and it proved to be too much. He never got back in the pool. Later, Dad and Mr. Horn were throwing all of the kids into the air. Flying was so fun! However, Dad threw Coco a little too hard. She bonked her head on the bottom of the pool. That proved my doubts about the pool being deep enough. She was fine, though. She was back in the pool swimming her heart out in a few minutes. Weren’t we all? In Savannah, we stayed with our friends, the Parish family. I made a zombie movie with Brownyn and Ivy. Click here to see the trailer for our movie! We also had a tour of the city. We went to Leopold’s Ice-Cream. The line was insane! No wonder! They’d been around since 1919! Also, they are the official inventors of the Tutti-Frutti ice-cream flavor. I ordered a triple chocolate ice-cream. Oh, BOY it was good. It was really chocolatey. There’s nothing more a boy would want. 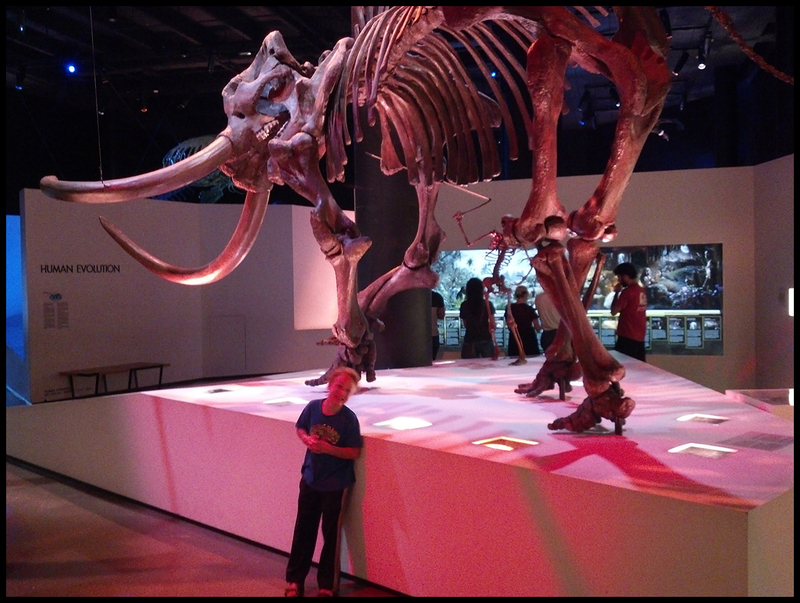 Natural History Museum…all in Houston? Up, up up went the elevator. “We are the Acrocanthosaurs. We’re level five.” I told Grandpa Bill. He acknowledged me with a nod. The elevator opened. We came out right in the museum shop. The first thing we did is we skimmed past the Wiess Energy Hall. That was pretty cool. We took the new elavator up to second floor. There we saw the exhibit of the Texas wildlife and African wildlife. The exhibits mainly contained taxidermied animals in their habitats. Then we headed up to the third floor. We saw a short exhibit about the Ancient Egyptians. I learned that they even mummified cats! Then we breaked for lunch. I had a massive American cheeseburger with a side of Cheetos and apple juice. I didn’t know how big the burger would be! I almost ate it all, though. After that we checked out the prehistoric creatures, then left. We had a very good time. Hey readers! Last time you saw me I was in Ephesus, Turkey. But one day we got very sad news that my granny died. We had to go back to Houston as soon as possible. Her celebration of life was so fun. All of my cousins were there. Before and after that day I went to my cousins’ house to play some video games. I played Monster Legends and Minecraft. At the celebration of life, we all shared memories for the first bit, but it was mainly a party.